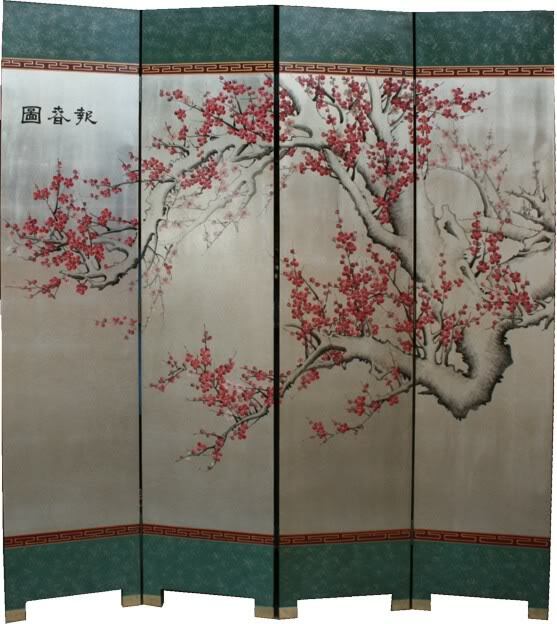 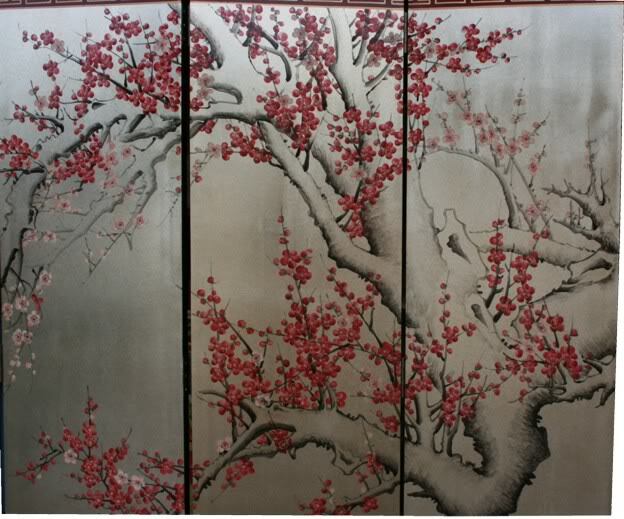 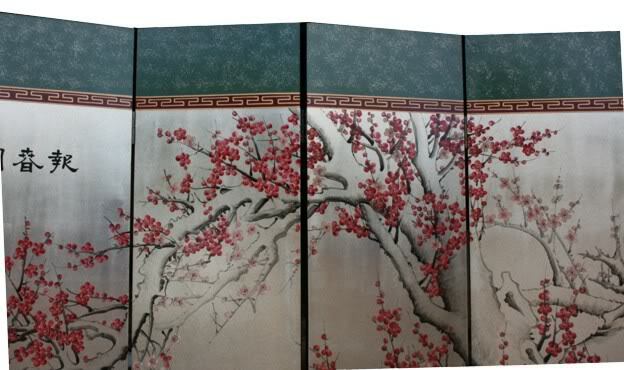 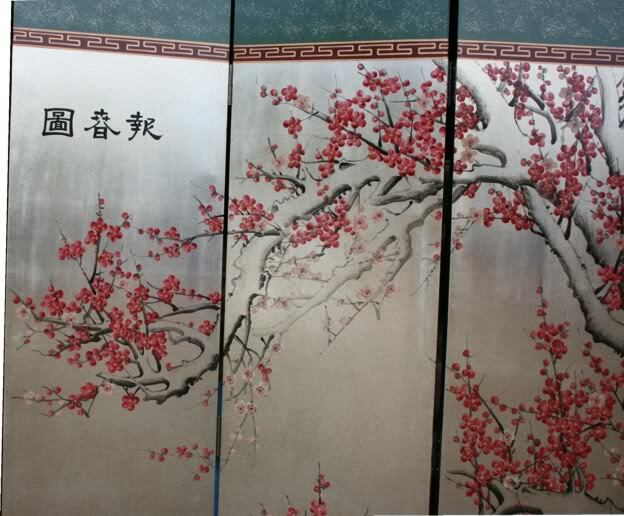 Cherry Blossoms adorn the main face of the screen in a serene and calming fashion. 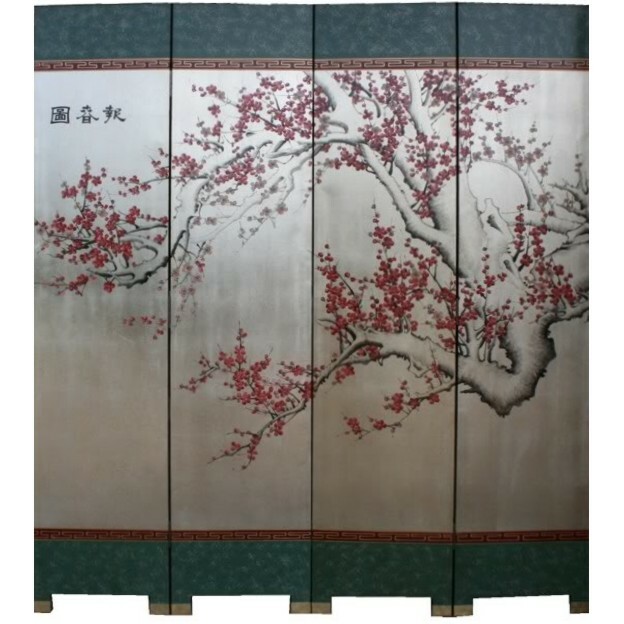 This piece could be used in any type of setting that needs a dynamic boost to come to life. 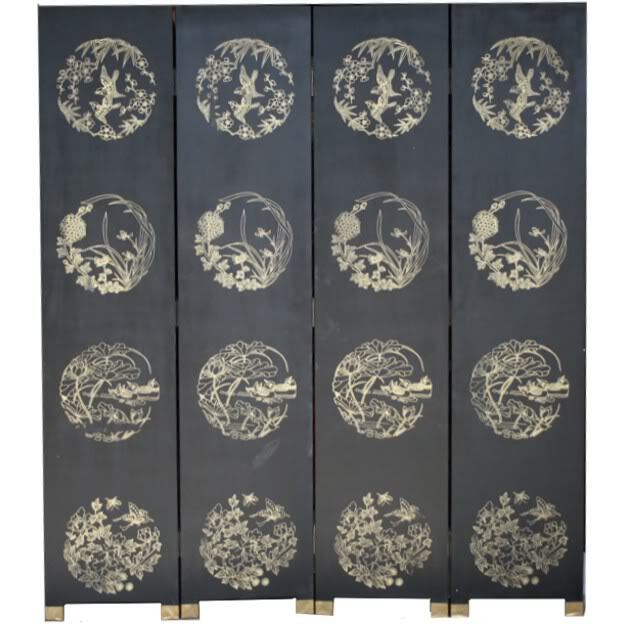 THE REVERSE SIDE features gold transfer with flower, birds painted on a black background.